yes it was done in my kitction it has the best lighting in my apartment. ok so yeah there ok and ive only been painting now for a few months (here and there) so go easy. that&#39;s pretty good did you look at mine yet? same thread- hammertime. they are a lot alike! nice job. no i dont think i have seen yours yet, i have only been to this thread a few times, but thanks im going to check it out now. i like the darker red. 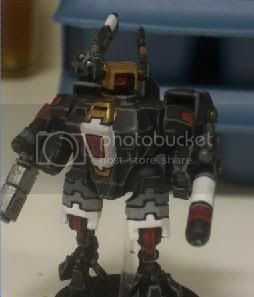 i have seen a lot of bright tau but this has a more ....idk..... i just like it alot. good job,man. 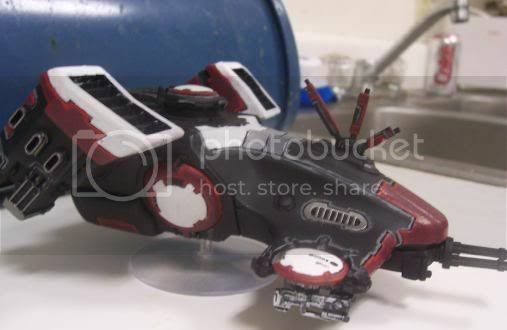 wow, nice models, especially the battlesuit! 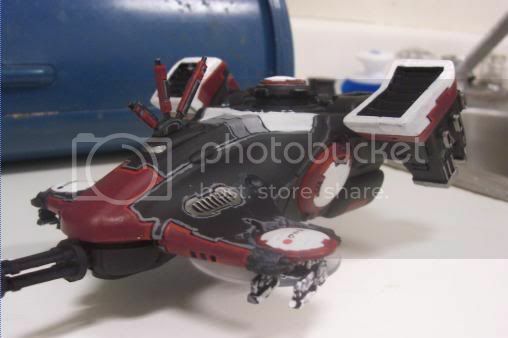 lol, our colour scheme is so similar on both the vehicles and suits that its scary...except i am starting again with painting my tau as i didnt achieve as smooth painting as that on my first time! Good job, excellent colour scheme! thanks for the complaments, and just looking at my stuff to begin with.